The classic outdoor fleece hoody that’s perfect for quick hikes, cool walks to campus or work, and cold-weather travels, the Men’s Mt. Elliot Long Sleeve Hood will be with you any day there’s a chill in the air. 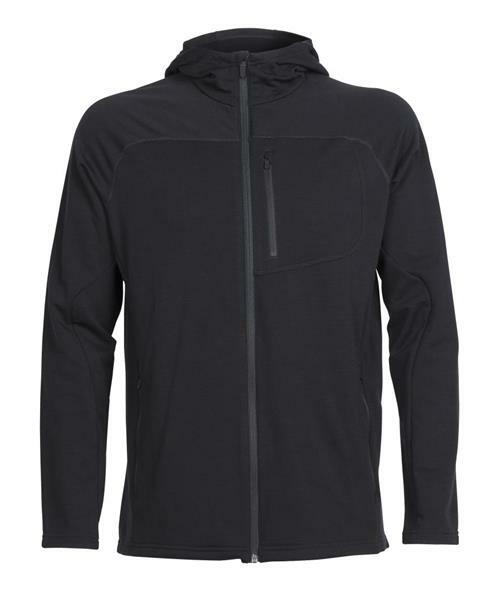 Designed with stretchy 200gm merino wool terry RealFLEECE® fabric, the Mt. Elliott has a brushed back that provides ample warmth while remaining lightweight and highly packable. Zippered hand and chest pocket keep your small items secure, and Icebreaker's Oasis fabric lines the hood and pockets for a soft touch.